Not too long ago, we met up with some of our fellow Scottish bloggers, headed off to Glasgows West End for an evening of all things beauty and food.. lots of food! 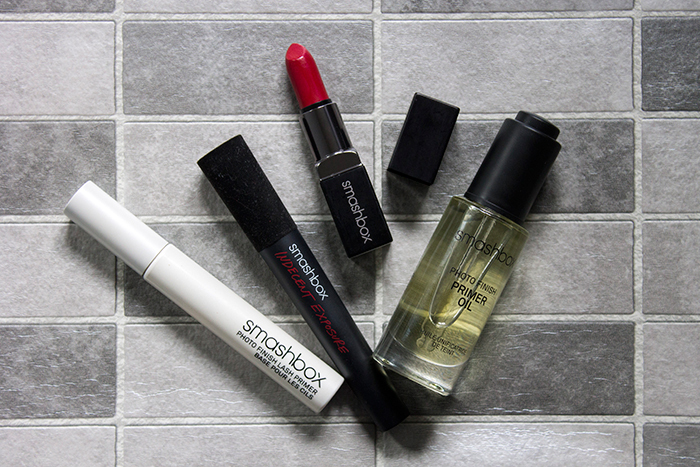 Smashbox had came to town and we were all excited to hear about some of the new products they had released recently, all of which are now available to buy. Here's a little taster of what to expect from their latest launches. 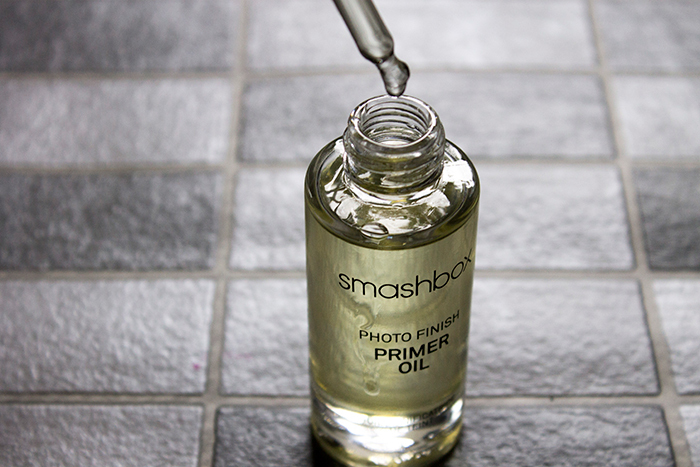 When I first heard about the Smashbox Photo Finish Primer Oil, I really didn't think it would be for me. As an oily skinned girl, I've only just gotten used to putting oil on my face at night, let alone before my makeup. Having said that, my skin has been on the dry side lately and I'm always willing to try something new so I decided to give it a go. This oil is made from a blend of 15 oils known to have skin benefits which basically softens and gives your skin a really smooth and soft base to work with. Once I popped two tiny drops onto my skin, massaged it in I was taken back by how good it made my skin look. Once I put my makeup on top, my skin had the most gorgeous glow and it looked so healthy and plump. It gives such a gorgeous effect. However, with my oily skin I did find over time I was much much shinier than normal which was a real letdown. Perhaps I need to adjust my quantities as I do really love it as a product, but I don't think it loves me. Dry skinned people, get your hands on this!!! The new mascara collection comes with a wide variety of products, whether you like full volume or long and fluttery lashes.. there's something for everyone. I've been using lash primers a lot more so I was happy to try out the Smashbox Photo Finish Lash Primer. It's not too different from your average lash primer if I'm honest but one aspect I do love is the dual sided brush. It features one side of bristles and one side with a very thin comb so you can get right into the lashes. I don't think lash primers are all that necessary but if you want to boost your mascara, it's a pretty good one to go for. When it comes to mascara I much prefer length over volume so I was very happy to receive the Smashbox Indecent Exposure Mascara. 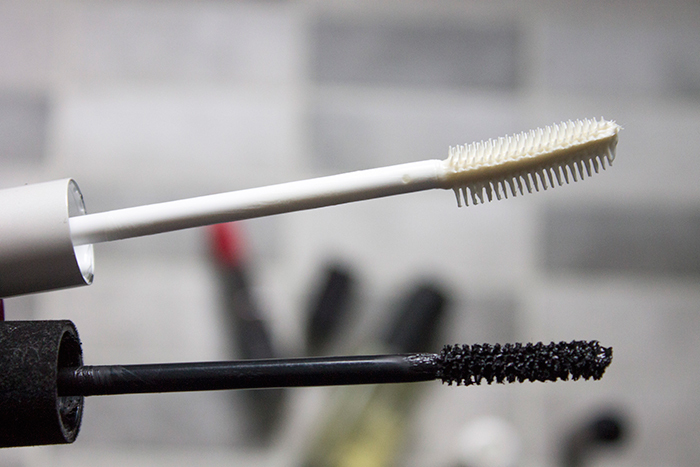 The bristles are wavy-cut in a spiral motion which means it gives a great amount of separation to the lashes which is something I really look for in a mascara. It feels really comfortable on the lashes and for me, just the right amount of volume without being too full on. Teamed up with the mascara primer and my lashes go on for miles! 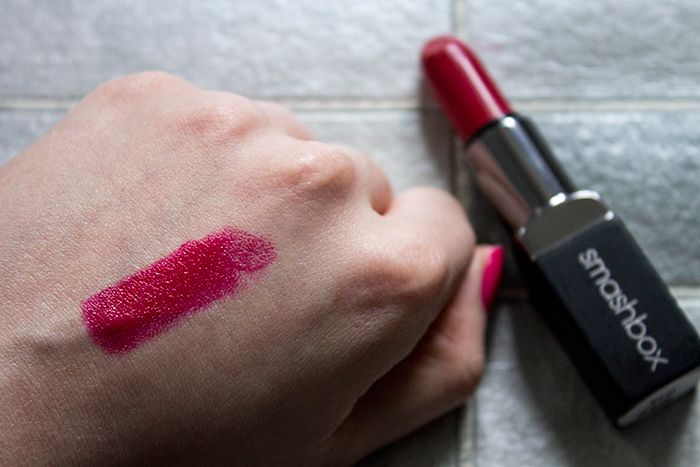 The most recent launch that came out at the start of the month was the Smashbox Be Legendary Cream Lipstick in Red Rage, one shade out of the 26 lipsticks in the collection. The collection includes 12 cream shades and 14 matte shades, all very smooth and creamy. The shade I got was Red Rage, which in my opinion is far more pink than red. It's a beautiful glossy pink shade which looks stunning on the lips and really compliments my skintone, however I think this is the kind of shade that looks great on everyone. You might need a lip liner for a longer wear time but it's a beautiful shade and I can't stop wearing it! Those are the latest launches from Smashbox! I don't often get to try a lot of their products as there isn't a counter near me but I'm always impressed by the quality of their products. I've heard there's a special lipstick that converts any lipstick into a matte shade so I'm definitely going to look into that!